Purchasing a new home is a tricky affair with a seemingly endless range of options, each one accompanied by its own down payments, closing costs, and other fees. If you’re looking for an affordable option that will help you get into your home with as little money as possible, try one of these lesser-known new homeowner loans. There are some restrictions on the property that you can purchase with this type of loan. It must be a modest home with 2,000 square feet or less, a market value that does not exceed the county limit, and no income-producing structures or swimming pools on the lot. Their loans are designed for individuals who may not otherwise be able to purchase a home. If you’re eligible for a USDA home loan program, you’ll enjoy a low interest rate and the option to purchase your home without a down payment. The Department of Veterans Affairs backs home loans for both veterans and their surviving spouses. If this applies to your family, you have the opportunity to purchase a home with no down payment and very limited closing costs. You’ll enjoy extremely low interest rates with VA home loans as well. The only drawback to this type of loan is the funding fee. This is typically between 1.5% and 2.15% of the loan, and varies depending on the branch that the veteran served in. You do have the option to roll this fee into your loan, so you’re not required to pay it upfront. A VA home loan is a benefit that many veterans overlook. However, it is by far one of the most affordable options for purchasing a new home, particularly when compared to conventional loan options. You’re eligible to use this loan once, so take advantage of it when you can. Many homebuyers go directly to the bank for their loan and overlook the valuable options that are available from credit unions. Credit unions often restrict their membership to a particular demographic, so not everyone is a member of one of these institutions. However, if you are a member of a credit union, you should start with them when you’re looking for a loan of any kind. Credit unions such as the Travis Credit Union, NASA Credit Union, and Navy Credit Union offer loans with little or no down payment and very favorable terms. See what’s available from your credit union if you’re a lucky member. This type of loan is available from many different lenders. 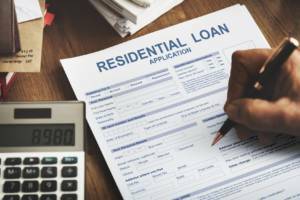 It’s a smart option for some homeowners that’s often overlooked simply because the lender may neglect to mention it, and homebuyers aren’t always savvy on all the possibilities that are available to them. If you’re planning to do extensive renovations on your home within the first few years and want to keep your monthly mortgage payments low to help you fund these, consider structuring your loan as an interest only mortgage. For the first term of the loan, your payments go exclusively toward the interest. This will keep your monthly obligations very low. The drawback is that you will not build equity in your home during this time, so you can’t take out a loan against your home equity in the near future. If lowering your monthly payments will help you release the necessary funds to fix up your home, try this option. When your renovations are complete, consider restructuring the loan with larger payments to help you tackle the principle more aggressively moving forward. With the right loan in place, you can make homeownership a reality for your family with less upfront investment than you might have expected. Add on a home warranty and take control of all your new monthly homeownership expenses. Start exploring your options for a new home now.